The Malka Penn Award is given annually to the author of an outstanding children’s book addressing human rights issues or themes, such as discrimination, equity, poverty, justice, war, peace, slavery or freedom. Within these larger themes, the award committee is particularly eager to recognize stories about individuals – real or fictional, children or adults – who have been affected by social injustices, and who, by confronting them, have made a difference in their lives or the lives of others. 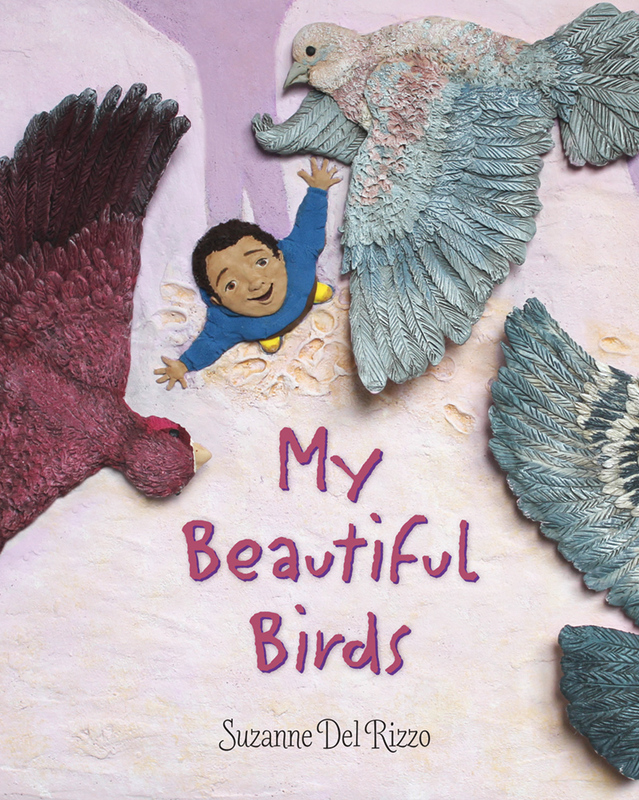 “My Beautiful Birds” embodies the intention behind the Malka Penn Award: to present stories of individuals who have been affected by social injustices, and who, by confronting these injustices, have made a difference in their own lives and/or the lives of others. Using simple, poetic language and stunning illustrations created from polymer clay and acrylic paints, the author/illustrator tells the story of a young Syrian boy fleeing war with his family. As Sami struggles with the loss of his home and pet birds, he slowly adjusts to a new life in a refugee camp. Eventually he finds hope in a trio of wild birds, as well as by expressing his feelings through art, and by reaching out to help another refugee child. The award was announced November 4, 2017 at the Connecticut Children’s Book Fair during a reception at the Thomas J. Dodd Research Center. The award will be presented this spring, at a date to be announced, at a special program at the Dodd Center.